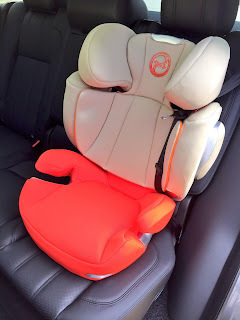 Picking the right, safe, comfy, easy to use, affordable child seat for your precious cargo can be an arduous process when you first start parenthood and carting your kid about safe – ideally with the minimum amount of cussing and fussing. 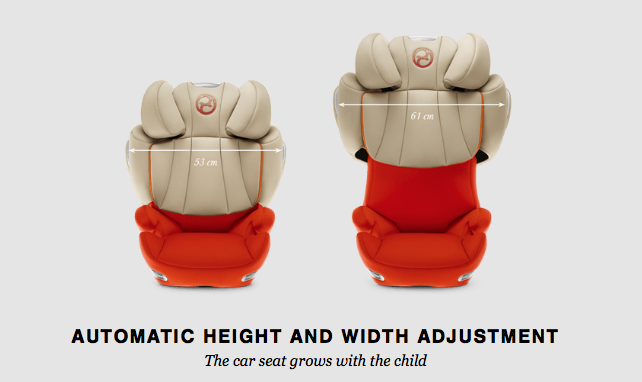 Selecting one that’s going to offer maximum safety, good snuggle-snooze factor, lasting longevity, easy-use and affordability as your child grows up… harder still. But fear not, we think we might just have found the answer in the aptly named Cybex Solution Q2-Fix. The Road Magazine child testing department has already been a Cybex babe, growing up in the Juno 2-Fix model, which we loved – mainly for its innovative and super-slick and speedy safety cushion system, which has saved so much time and stress, is clearly very comfortable and also award-winning for safety. The fact it looks cool is a happy accident. 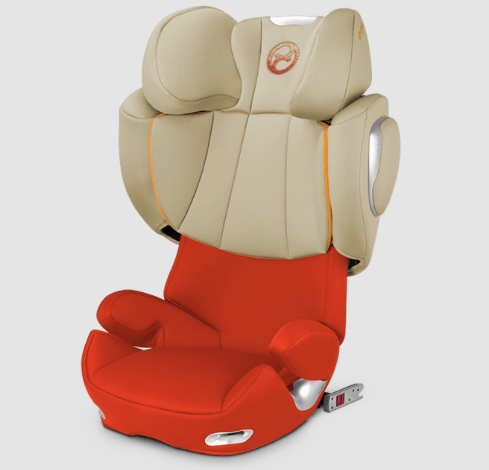 Right to the age of three, this Juno seat was her favourite and a no brainer from our POV… pretty much a faultless product in fact, so much so we have properly bought into the globally trusted, award winning and brilliantly designed Cybex brand. 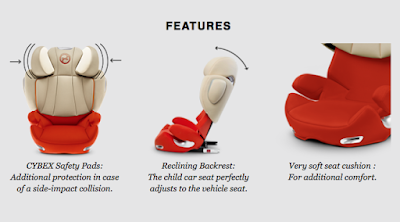 Enter the Group 2/3 Cybex Solution Q2-Fix, with it’s clever ability to automatically grow with your child, right up until the age she’s out of car seats and into boosters, at 12. First things first, ‘assembly’ is a two minute job, simply fitting the L.S.P. System Plus cushions to the side of the chair, attaching the seat to the base and removing all the packaging. 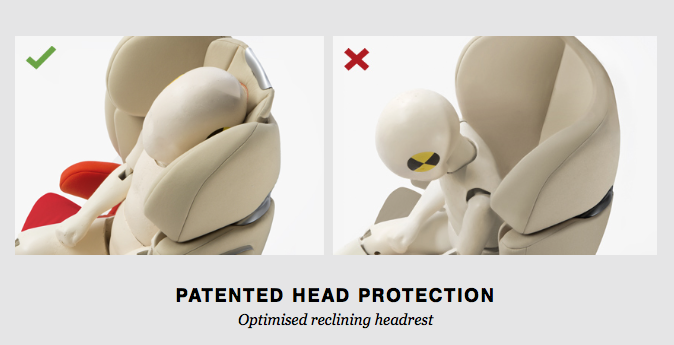 And fitting the seat into the Project Beast Range Rover could not have been simpler either, with the ISOFIX guides to assist in homing-in the two-click ISOFIX system (with a safe install clearly indicated by green symbol) and one handle to adjust the angle of the backrest, to fit snuggly and safely into the seat design. Fantastic. Our test version arrived just in time for our long run to Goodwood Revival – 500+ miles round-trip of testing. And, with the Road Magazine child test department now capable of voting with her own voice and opinions, there was no hiding for the Cybex seat! Having been used to the security and feel of the safety cushion (which she also liked leaning on) in the Juno model, it took her by surprise that there was just a seat belt to secure her (safely secured in the slots designed into the seat, at either end, working in either direction, depending on which side of the car you choose to fit the seat on. She kept saying “I’m falling!” (despite being more secure than ever) until she got used to being free from her junior safety cushion… which literally took minutes. And before long, she was feet up on the seat, head back in the snuggly head rest (fully reclined, as instructed!) watching the in-car DVD… clearly supremely comfortable. So much so in fact, after an exciting day at the Goodwood Revival, it took her no time at all to nod off for what looked like a perfect snooze, head firmly supported, body slumped and sunk into the soft fabric. Another winner from Cybex: Safe, simple, stylish and snoozy! This entry was posted in Project Cars and tagged baby car seats, car seats, Cybex, cybex car seats, goodwood revival, road magazine, road magazine project cars. Bookmark the permalink.